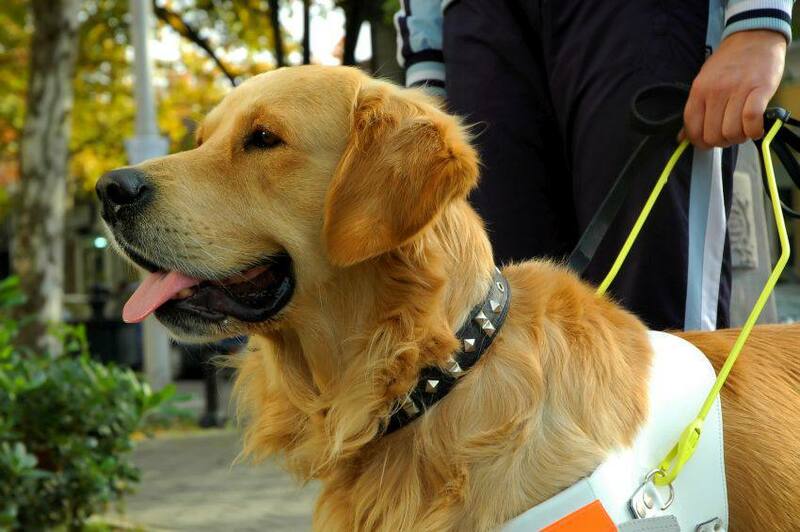 The service animal must be required for assistance by the person with the disability. The service animal must be trained by a professional service-animal training institution, and that training must be certified in writing at the time of boarding. The animal must have a proper harness. The service animal is not required to perform any tasks for its owner for the duration of the flight, but it is required to help the person perform common tasks on a daily basis. Provided the guide dog or service animal has the necessary veterinary certification before boarding, the airline is not allowed to deny access of a properly identified service animal. It is important to make sure you confirm and know the identification required for your service animal. The Canadian government website provides information about your rights and responsibilities if you need to fly with a service animal or with any disability aids, such as oxygen or a wheelchair. While you are allowed to take your service animal with you on an airplane, there are certain safety regulations that must be observed during the flight. The service animal is not allowed to obstruct aisles, particularly if the aisles need to be kept clear in the event of an emergency. In November 2013, a blind passenger was removed from a US Airways flight because he refused to move his service dog from the aisle. If you know your rights and responsibilities before and during the flight, you will be much better prepared to comply with reasonable requests by flight attendants, and your experience will be much more pleasant and straightforward. Before you travel, make sure that you purchase the right travel insurance product for your trip.